When I think of social justice and equal rights, the first person who comes to mind is Martin Luther King. But, we all know that he wasn’t fighting alone. 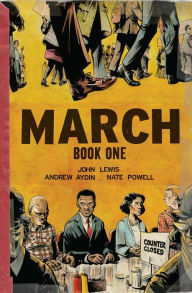 His I Have a Dream Speech is one of the most familiar speeches ever heard, but, Congressman John Lewis can deliver a powerful and memorable one as well, as you will discover if you read March: Book Two. 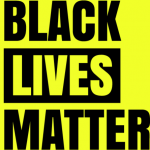 I’ve selected a few recently published memoirs or biographies by or about significant African-Americans, some more familiar to me than others. 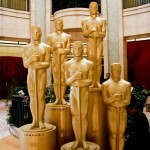 What they all have in common is a drive to excel and a belief in what they were striving for – something that will resonate with today’s readers of all ages. 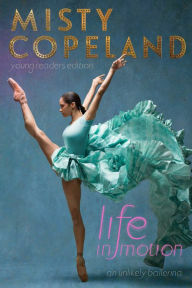 This is a recently published young readers’ adaptation of Copeland’s 2014 memoir about her becoming the first African-American principal dancer in American Ballet Theatre history. Despite not having started dancing until age 13, Misty’s talent allowed her to transcend her rough home life. Her family didn’t have much money, and she had a series of stepfathers growing up. As her talent brought her notice, she became embroiled in a custody battle between her mother and her ballet teacher, leading her to go to court to petition for emancipation. She is also frank about the prejudice she experienced as a black dancer, including the belief by some who said that black dancers had no place in classical ballet. “This is for the little brown girls,” Copeland says, but her inspiring story will be embraced by readers of all races. The author’s father worked at NASA as did so many others in her community that she just assumed that “that’s just what black folks did.” She profiles four black women (Dorothy Vaughan, Mary Jackson, Katherine Johnson and Christine Darden) who during World War II, were hired as “computers” – or female mathematicians by Langley Memorial Aeronautical Laboratory, in VA under NACA (National Advisory Committee for Aeronautics) – later to expand to become NASA. At a time when educated black women good in math were only expected to become math teachers, these women helped the U.S.’s successes in space aeronautics. Women hired at Langley were as good or better at computing than the men but few were classified as mathematicians because that would mean they’d be on equal footing as the men. Instead, they were classified as “sub professional” and paid less than the men. The Fair Employment Practices Committee under President Roosevelt had opened up job opportunities for African Americans, desegregating the work force during the war. Dorothy Vaughan joined the NACA in 1943 and was the first to be promoted into a management position. Mary Jackson was the first black women to become an engineer at NACA. Katherine Johnson’s math skills helped put the first American in orbit around the Earth. Christine Darden became an expert on supersonic flight and her groundbreaking research on predicting sonic booms continues to be used today. These women opened the door for other women to become mathematicians as a career. 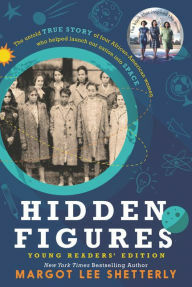 This book, and the adult version, are the basis of the upcoming film Hidden Figures starring Octavia Spencer (as Dorothy Vaughan), Taraji P. Henson (as Katherine Johnson), Janelle Monáe (as Mary Johnson) but doesn’t include a portrayal of Christine Darden because the film focuses on the years before she started at NASA. 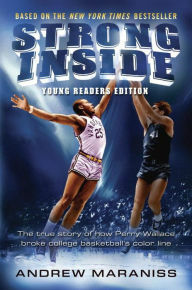 This adaption from the 2014 adult version entitled Strong Inside: Perry Wallace and the Collision of Race and Sports in the South is the inspiring true story of Perry Wallace, the first black basketball player to play for the Southeastern Conference (SEC) at Vanderbilt University in Nashville from 1966-1970 during the height of the civil rights struggle. While playing against other basketball teams in the south during the turbulent 1960s, Wallace remained unflappable in the face of prejudice in places like Mississippi and Alabama. In Wallace’s freshman year, some other basketball teams even cancelled their games against Vanderbilt. What better way to limit opportunities for black players in the Southeastern Conference (SEC) than to deny their very existence. There were rule changes meant to maintain white dominance such as the fact that Wallace’s signature slam dunk was outlawed from college play by a committee of coaches and administrators. This forced him to become a better player by working on his other skills. Readers will be angry at the many aggressive fouls, and elbows to his face Wallace received by other players that he endured that went unchallenged by officials. Wallace valiantly restrained himself from retaliating because he wanted to make a lasting change. Readers will also be puzzled and outraged at the lack of support by Wallace’s coach and teammates, although Wallace believed they meant well, but didn’t understand what he was going through – and the culture of the time didn’t prepare the students and administration for what it would be like to integrate. As Wallace strove to meld into an all-white 1960s college team, readers in today’s racially uneasy times will be able to relate to what Wallace went through and the isolation and loneliness he experienced. He succeeded in paving the way for future black players on college teams. Framed around his attendance at President Obama’s presidential inauguration in 2009, Lewis recalls his childhood that led to his participation first-hand in some of the most important events of the civil rights movement in graphic novel format. In March: Book One Lewis talks about how he was drawn to Martin Luther King’s vision of the way of protesting using nonviolence. He had read the comic book published by the Fellowship of Reconciliation called Martin Luther King and the Montgomery Story that explained the basics of passive resistance and non-violent action as tools for desegregation (The young people in Egypt protesting in 2011’s Egyptian Revolution used King’s comic as a guide too). He tells of his experiences with the sit-in movement to desegregate the lunch counters in places like Grant’s and Woolworth’s. 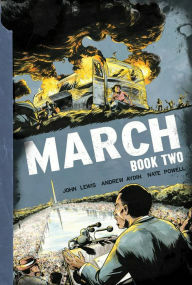 As Lewis attends Obama’s inauguration, in March: Book Two he reminisces that he’s the last alive of the Big Six – civil rights leaders that included M. L. King, who were involved on the March on Washington in 1963 to fight for jobs and freedom for African-Americans and includes King’s I Have a Dream Speech, and Lewis’s edited speech he gave at the same time, as well as the entirety of the unedited one. This second book also covers the period when he and other non-violent Freedom Riders were beaten by angry racist mobs and then often arrested themselves. Powell’s illustrations effectively portray the violence and death that the Lewis and the protestors faced in a way that text can’t. 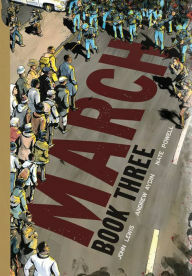 March: Book Three covers when he became chairman of SNCC (Student Nonviolent Coordinating Committee) where he and other civil rights leaders had their greatest success in marching 54 miles from Selma to Montgomery, Alabama to fight for voting rights for all African-Americans, as well as equal protection under the law, and an end to police brutality (this point will really resonate with today’s young readers). This last book in Lewis’s memoir covers the Birmingham church bombing, the brutal confrontations between protestors and the police on Bloody Sunday, to President Johnson signing the Voting Rights Act in 1965. One of the most touching images in the last book is the card Obama gives Lewis at Obama’s inauguration that says “Because of you, John–Barack Obama.” These books are essential reading for anyone who wants to know what it was really like to be a part of the fight during the civil rights movement. 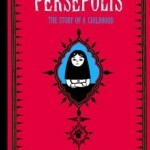 History Comes Alive in Graphic Novels! 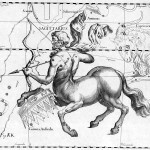 Next Post Do You Know All You Should About “News” Feeds, Click Bait, and Credible Sources?